From Cars 2, here is Mattel's 2013 diecast release of "You the Bomb" Mater! This was part of last year's "Palace Chaos" sub-line (#3/9). As seen in the screen shot above, this release is based on the sequence in the film when Mater is revealed to have a bomb under his hood, attached by Professor Z's minions, in an attempt to kill Lightning Mcqueen. 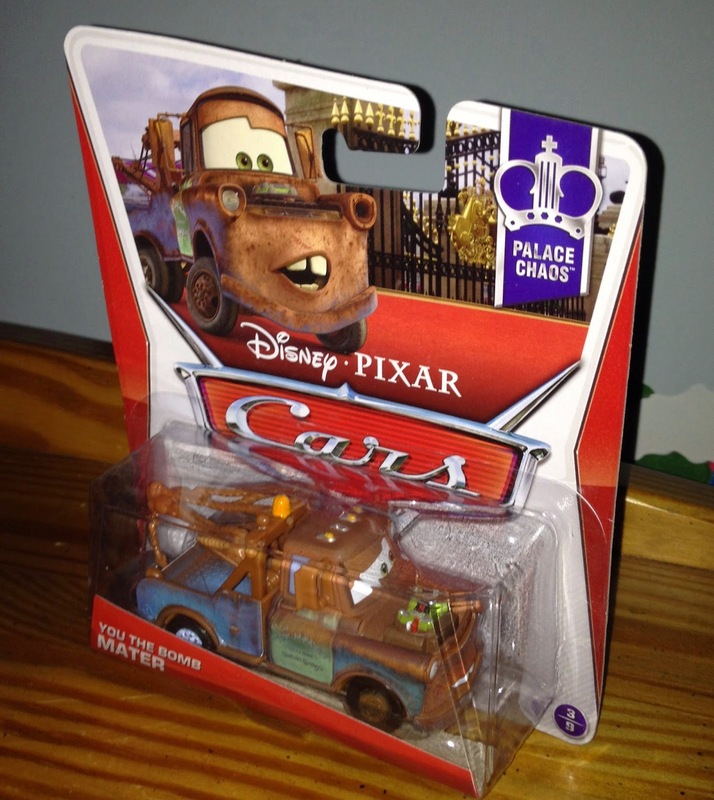 Before being released in this single pack, "You the Bomb" Mater was only available as an exclusive in a Target 12-pack and in a Toys R Us exclusive 5-pack called "London Chase."